This is the third post in a series about Finnic influences in Latvia. You can read the first one about place names here and the second one about personal names here. Today we will be looking at population crossover. But I really wonder whether “crossover” is the right word, because for most of history, a border between Latvia and Estonia did not exist. Border controls have only existed along the Latvian-Estonian border for no more than 50 years in the past seven centuries – and those have all been in the 20th century. Firstly, during the interwar period, when Latvia and Estonia were both independent countries, and secondly, after regaining independence from the Soviet Union in 1991, until 2007 when both countries joined the Schengen area, so practically speaking, the border doesn’t exist anymore. As I’ve mentioned before, prior to the independence in 1918, northern Latvia and southern Estonia were one province in the Russian Empire – Livland. This public domain map from Wikipedia shows the reach of Livland. I have added in a rough approximation of the modern modern between Latvia and Estonia in red. You can click on it to get a bigger version. Now, this modern border comes close to following the borders of the different districts in the Livland Empire – Parnu, Viljandi and Võru districts to the north of the border, Valmiera and Valka districts to the south of it. There are some variations, and these came about in the years following the First World War. A series of local votes took place in a variety of places, including Ainaži, to determine whether a place would become part of Latvia or part of Estonia. In the case of Ainaži, the vote went in Latvia’s favour, in the case of the island of Ruhnu in the Gulf of Rīga, the vote went to Estonia. The town of Valka (Valga in Estonian) was divided between the two countries, with most of the town going to Estonia. But back to the populations themselves. The linguistic border was there, but since landless peasants often had to travel where the work was, and the manor lords on both sides of the linguistic border spoke German, traveling across the linguistic border was not as hard as it could be. Some churches in the border regions even had three congregations – the Latvian, Estonian and German. Typical Latvian names like Kalniņš, Krūmiņš and Ozols appear on the Estonian side of the linguistic border, while Estonian names such as Jurikas, Pottisepp and Tamm appear on the Latvian side. As well, since revision lists don’t mention ethnicity, there could be even more crossovers who are hidden behind Germanic names, since these surnames were common for both Latvians and Estonians. Beyond travel between rural manorial estates, people also traveled extensively for urban work or study purposes – Latvians headed into Estonian territory to study at the University of Tartu, and Estonians migrated to Rīga in Latvian territory to study at the Rīga Polytechnic Institute, as well as work in factories, since Rīga was a large industrial centre. The Estonian student corporation Vironia was founded at the Rīga Polytechnic Institute in 1900, while the Latvian student corporation Lettonia was founded at the University of Tartu in 1870. Prior to independence, about 28,000 Estonians lived in Rīga. Many assimilated to either Latvian or Russian cultures. However, some Estonians did maintain their identity. After the First World War and the establishment of Latvian and Estonian independence, thousands of Estonians still called Latvia home. About 1600 lived in Rīga, where their social life revolved around the Estonian school and community centre in the Āgenskalns neighbourhood. Rīga still has an Estonian school today, and is attended not only by Estonians but ethnic Latvians as well, where they get to learn the Estonian language. An important thing to note, if you are researching Estonian Latvians – many of them – though not all – were a part of the Orthodox religion. especially in Rīga, where they had their own Estonian congregation. 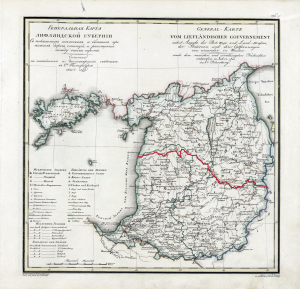 While Orthodoxy did make some inroads among Latvians in the 19th century – particularly in central Latvia around Madona – it was still not as popular as Lutheranism. Meanwhile, about 20% of Estonians were of the Orthodox religion. 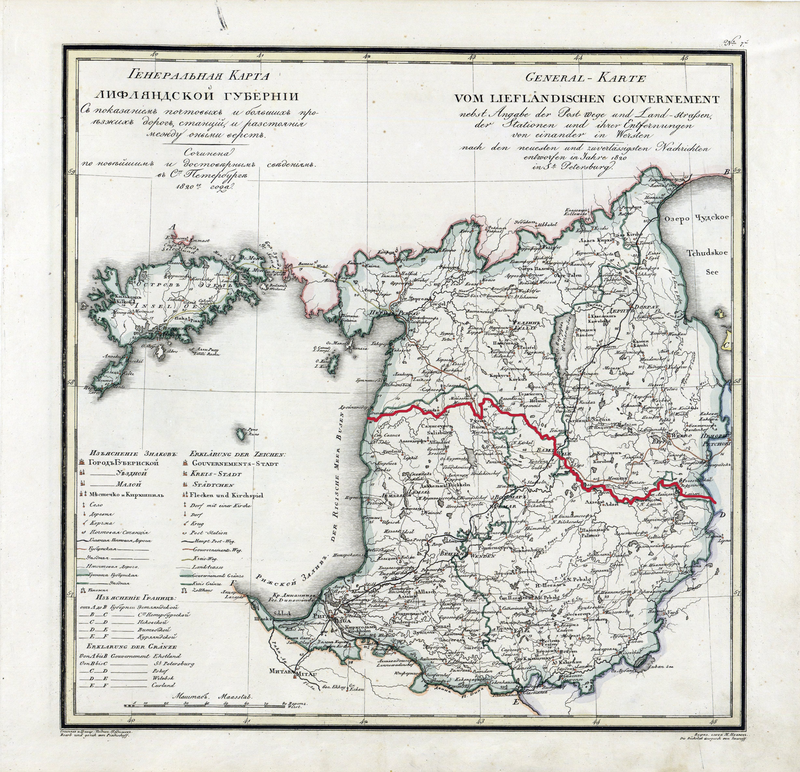 It was especially popular on the island of Saaremaa – which, as you can see on the map above, was a part of the province of Livland, and contributed a number of migrants to Latvian territory. An exception to the traditional Lutheran and Orthodox Estonians would be a Catholic “island” of Estonians in Latvia – the “Lutsi”, a group of Estonian Catholics who lived around Ludza in eastern Latvia. Next time, we have the last post in this series – Finnic influences on the Latvian language. With Latvian being Baltic and Estonian being Finnic, you wouldn’t think there is much crossover or borrowing – but there is! Stay tuned!